Chinese Herbal Medicine is a service that we offer in conjunction with acupuncture treatment or as a separate service. Herbs can be a wonderful adjunct to acupuncture or as a stand alone therapy. The type of herbal medicine I practice is Kampo, which comes out of the Japanese tradition. The formulas I use are often smaller (less herbs), and reassessments often have to be made within 1-2 weeks of being on a formula. The herbs I most often use come in either capsule or powder form, whichever is more suitable to the patient. Our herbal formulas are sourced from 3-4 trusted companies who rigorously test the herbs for contaminants. Herbal medicine can be beneficial for many conditions, but where we have seen herbs be most effective are for digestive issues, particularly acid reflux, constipation and IBS. Herbs are wonderful in helping with hormonal imbalances and symptoms such as PMS, painful periods and menopausal symptoms. We have also seen great results with Chinese herbs in fighting cold and flu symptoms, reducing and eliminating allergies, and helping with insomnia and anxiety. Over the past 5 years I have developed a new appreciation and fascination for essential oils, and find them extremely useful and effective on a daily basis. You may often find me making specific recommendations for certain oils depending on your constitution and condition you’re seeking treatment for. Essential oils can be used by direct inhalation through your nose or a diffuser, applied topically, or with proper guidance ingested. The oils are subtle but I’ve seen profound effects from their use, particularly for alleviating anxiety and stress, insomnia, and for hormonal imbalances. They can be extremely helpful when applied topically for pain. Many essential oils have antibacterial and anti fungal properties, and make great substitutes for bug and tick sprays, and household cleaners. 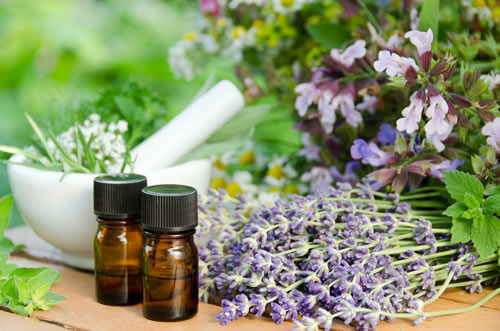 Like herbs, much care and consideration has to be taken into account as to the sourcing of essential oils as many oils are adulterated with additives that can be harmful when applied topically or internally. There are a myriad of therapeutic as well as everyday uses for essential oils. They can be a wonderful adjunct to acupuncture, herbal therapy or nutritional and lifestyle counseling.